The newly repaired bridge is back open to traffic. 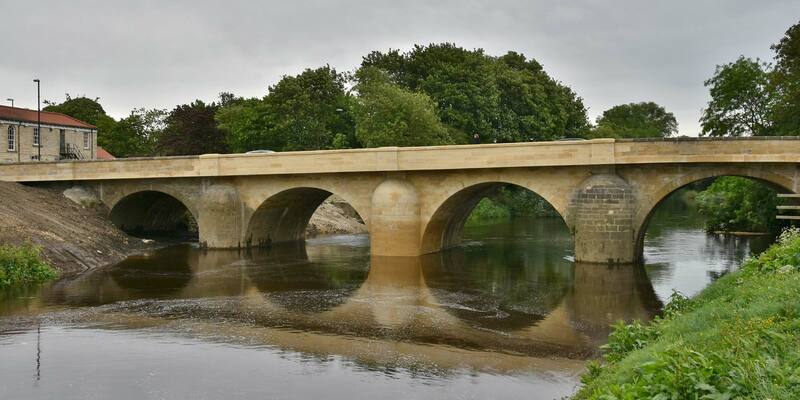 The project at Tadcaster Bridge was always more than rebuilding a flood-damaged structure – first and foremost it was been about reuniting a community. Following the devastating flooding in December 2015, the bridge in Tadcaster collapsed, splitting the town into two. 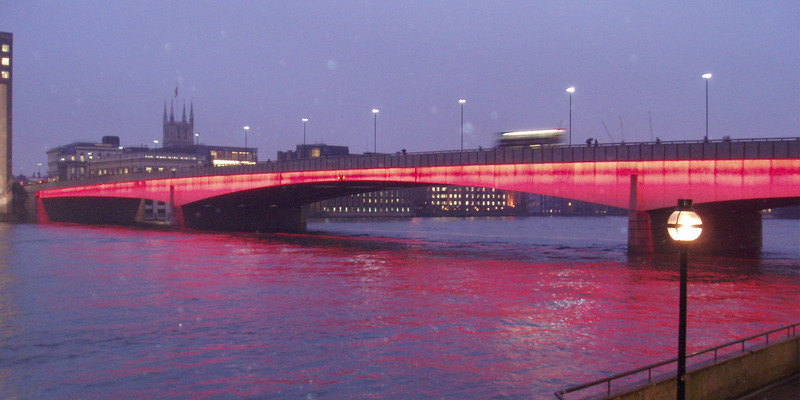 The bridge, which arches dates back to the 16th Century, also has an ‘upstream’ structure which was added in the 1780s, with the newer upstream pier and arches that failed during the 2015 flood event. A footbridge needed to be installed to re-connect the town and then make permanent repairs. Tadcaster Bridge became the poster story and symbol of the devastation suffered by so many, attracting local and national media attention. This high profile, sensitive and complex project requiring specialist and traditional construction skills was a challenge from the outset. Without the bridge, locals had to make a 9-mile detour of 20 minutes by car to reach essential services on the ‘other side’ of town. The team did everything possible to keep work progressing including erecting heated tents over the masonry parapet wall to combat the freezing conditions in December 2016 and January 2017, and worked 24/7 shifts. The team certainly made their mark and were given a special thank you during one Sunday shift. Locals surprised them with afternoon tea and cake to show just how much their round the clock efforts were appreciated in the community. The local generosity was there throughout the project, providing Christmas lunch and numerous other treats for the workforce. Thousands gathered to celebrate the bridge's reopening in February 2017, just over a year after it was cut in two. 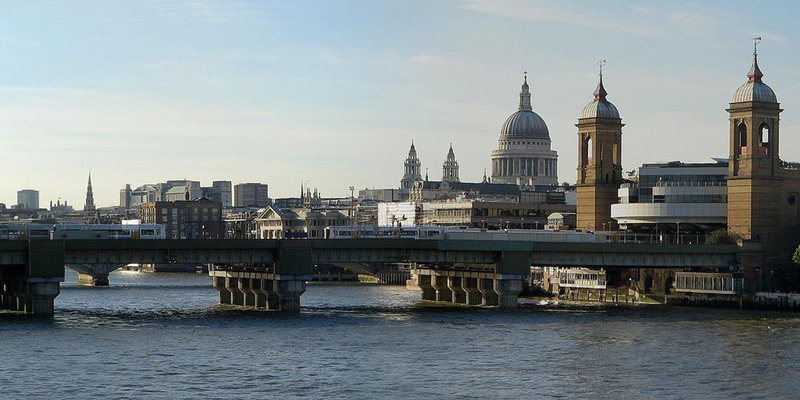 The project team successfully implemented a value engineering (VE) design to reduce the base depth and enable the excavation to a depth of 2.5metres below existing river level and 1 metre below the existing bridge footing, instead of the 5-6 metres originally proposed. The reduction in depth saved time and cost and carried less risk to the workforce during construction. Pre-cast concrete units were used to construct the road deck. This enabled widening of the footpaths to modern compliance without major extensions to the arched structure. This offered benefits to the programme and cost in the goal to open to public use as soon as possible. A ladder beam scaffold bridge system, originally developed at another project, was used to provide safe and consistent access and removed the need for temporary works to be assembled, disassembled and reassembled as the works progressed. The project team were predominantly working within the River Wharfe so extra consideration was required to ensure works were contained to eliminate the risk of contamination. The first priority was to remove debris from the river caused by the collapse. Maximum amounts of stone were salvaged for re-use, but much of it was beyond saving and repair. This material is now stored with North Yorkshire County Council for use in other repair and renovation work in the area. Other stone was washed, treated and reused to infill and re-profile the river bed.